Among the many exhibits seen at the 2015 Taipei International Automobile Electronics Show (AutoTronics Taipei), a high-profile international automotive-electronic trade show held in Taiwan yearly April 8-11, the one from Andia Automotive Alliance (AAA) attracted ample attention. The integrated vehicle infotainment platform, debuted at the 2015 Consumer Electronics Show (CES) in January, won enviable focus from global automakers for superior integration and functionality, featuring many advantages including support of both iOS and Android mobile operating systems; built-in Autonomous Driving Assistant System (ADAS) and three-dimensional (3D) Around View Monitor (AVM) etc. The ultra-integrated vehicle infotainment platform developed by AAA was debuted at 2015 Consumer Electronics Show in January. In another sizable booth at the 2015 AutoTronics Taipei, Whetron Electronics Co., Ltd., a major automotive-electronic Original Equipment (OE) maker in Taiwan supplying quality and innovative systems to international automakers and a member of AAA, utilized a zone to demonstrate the AAA infotainment platform. The AAA is a trade group founded in late 2014 by international companies attempting a seemingly altruistic, team-oriented goal, to create a global automotive-electronic brand for Taiwan. The alliance was initiated by AnTec Electric System Co., Ltd., which was acquired by the Taiwan-based, globally-leading electronics service provider Hon Hai Group in 2015 and now a major supplier of automotive computers. AnTec adopted the architecture developed by Nvidia Corp., the world leader in visual computing technologies and the inventor of the graphic processing unit (GPU), to develop its auto computers, and the two parties then formed a strategic alliance to try to map out the future development of Taiwan's automotive-electronic segment. 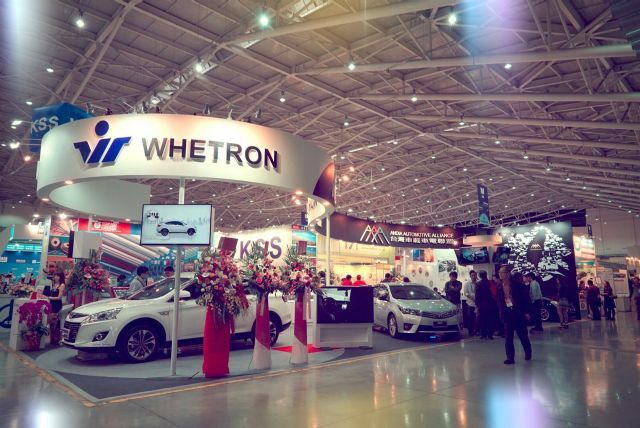 Whetron Electronics, a major automotive-electronic Original Equipment (OE) supplier in Taiwan, showcases the AAA concept at 2015 AutoTronics Taipei. In addition to AnTec of Hon Hai Group and Nvidia, other AAA members include Whetron, Jorjin Technology Inc., leading supplier of wireless system-in-package (SiP) modules and application processor system on module (SoM); Industrial Technology Research Institute (ITRI), a major industrial technology R&D hub in Taiwan; Chimei Motor (Chimei Motor Electronics Co., Ltd., focusing on development and production of lane departure warning system (LDWS) and ADAS; and Richview International Co., Ltd., AUTONET and a major developer and maker of GPS navigation and digital TV systems. AAA says the alliance aims to provide not only technical integration, but also innovative services and concepts. Having broken the traditional barriers between automotive-electronic companies, AAA has managed to achieve effective integration of member resources and strengths quickly, hence able to offer products and services to global customers that feature the most advanced technologies and the highest cost/performance (C/P) ratio. The alliance's ultimate goal is to help Taiwan's automotive-electronic suppliers to penetrate international markets in the shortest-possible period, by providing a business platform to all potential and capable players. 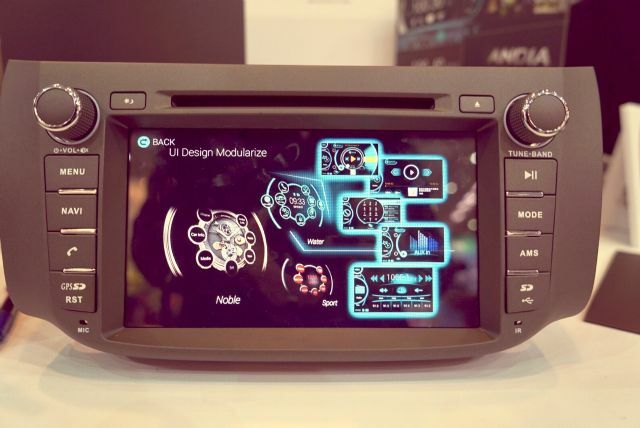 The AAA-developed infotainment system displayed at this year's AutoTronics Taipei is supposedly the most advanced of its kind thanks to its integration of In-Vehicle Infotainment (IVI), 3D AVM and ADAS. The IVI features extensive integration including phone calling, Bluetooth connection, hands-free etc. functions. All the vehicle information is displayed in 3D graphics, including door-ajar, tire pressure, oil/water temperatures, reports of abnormality or malfunction etc. The multimedia entertainment system supports full HD movie playback, as well as photo display and music playback. The built-in, patented Andia Link function integrates both the Apple Car Play and Android mobile operating systems. Compared to other systems available on the market, the 3-in-1 integrated system offers all the functions that are typically provided by three different systems, hence achieving significant saving in production cost. In addition AAA provides customized user-interface (UI) development, delivering all kinds of UIs according to customer preference within short schedules to help customers cut R&D cost and offer brand-new user experience.